I can not express how much I enjoy reading all of the amazing food blogs I am conversant with! I started my little blog a few months ago and the myriad of information I have acquired in this short time is genuinely treasured. I realized right away I was overwhelmed because I want to cook so many of the delicious dishes and desserts I delight in everyday. My bookmark bar is out of control! I sincerely appreciate the inspiration and enlightenment from all of my new found internet friends. Last week I saw this sweet post from The Suburban Soapbox. I loved reading this because while celebrating her 100th post, she fired up her oven when it was 95° to make this crostata! Bookmarking the page I decided right then I was going to make the crostata too. The next day when I stopped by Whole Foods I noticed they were having a one day sale on blueberries. Instantly I thought “Crostata”! $1.99 a tub for organic blueberries from California. I bought three tubs and over the course of the weekend I made two crostata’s! They were sensational! I think I ate 1/2 of the second one all by myself! Here’s the recipe exactly as Kellie posted it. However, I know you would enjoy a visit to her blog. In a large bowl, combine the blueberries, flour, sugar, lemon zest and juice thoroughly. Set aside. Line a baking sheet with parchment paper and roll out the dough. In a small bowl, combine the flour, sugar and butter together for the topping using a pastry blender or fork until large clumps form. Pour the blueberry mixture into the center of the dough making a mound and leaving a one inch border around the edge of the crust. Crumble the topping mixture over the blueberries evenly. Fold the crust up over the edge of the blueberries pinching to create pleats. Repeat the process until all the edges have been folded up over the blueberries. Hi Laura. Thank you so much for your sweet comment. Shame blueberries have to be so expensive. They can be really spendy over here too when they are not in season. We are fortunate enough to have them growing in this climate (Washington). We have farms open to the public where you grab a bucket and head out to harvest as many as you like. Fun little day excursion. I do think the frozen ones will be too watery for a crust. Glad you visited Kellie’s site! I really like her blog and her honesty! Hope you have some great plans for the upcoming weekend! Thoroughly enjoyed your peanut butter, banana “uncheesecake” post! The recipe is fabulous! I am sooo going to make this crostata! and just like you, my bookmark bar is also terribly out of control! I know! I have to spend some time and create a little “cookbook folder” on my desktop. You’ll love the crostata Felicia! I can’t wait to try this! 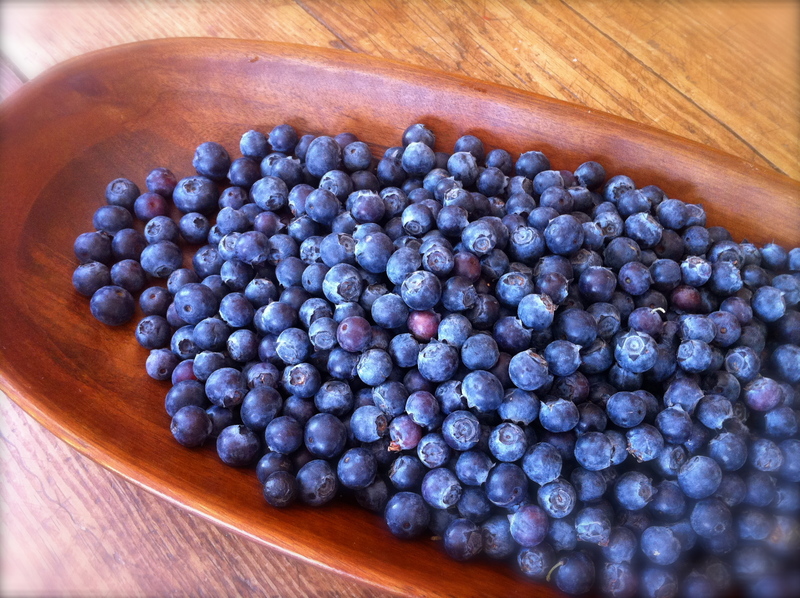 The short blueberry season is here and it’s now or never…. You are right! The big juicy plump ones are short lived. I just visited your blog and love your art! So beautiful & easy! It’s my sister’s Bday today and I am very ashamed to admit that I bought one of those ready made dough bags to make chocolate cake… My desserts tend to go very “wrong”. But I could just (maybe) do this one :-) remind me to impress her with that next year! I am now following Soapbox as well, great Blog! Sadly, blueberries are both expensive and of very poor quality here in Ireland. Lovely looking dish all the same. Just lovely looking. I made an apricot crostata a couple of months back, and justitching to try this one too. I’ll wait until spring when blueberries are in season nd moe affordable. Yum, yum, yum. Thank you so much. I imagine your apricot crostata was wonderful. Thank you for your comment. The crostata is gorgeous as are those blueberries. Delicious! So true elyann. I wish we had more time on the clock. Thank you for your comment. If you do try it out you will love the ease of the recipe. The blueberries were so fresh even after 20 or so minutes in the oven. The recipe sounds pretty straightforward considering the crostata looks quite impressive. I’m adding this to my overly-bulging “try this recipe” bookmark too! Beautiful yummy post! Like Laura blueberries are hideously expensive here. Although I really like the idea of trying this with my favourite apple, Jonagold, lemon juice and zest instead. Rather than a tarte tatin. I hope you do follow through with your idea. I imagined apples after reading Laura’s comment. Typically I do not rush out to fulfill some idea I have with desserts and sweets. I could live without them. However, occasionally I am pleased with a delightful sweet food. I have a Jonathan tree in my front yard and around October I’m feeling a pressure to do something with all those ripe apples! How did you know I just picked up blueberries today? Can’t wait to try this. I hope you do make it! You’ll love it! The blueberries didn’t shrivel at all during baking. They stayed plump and heavenly. 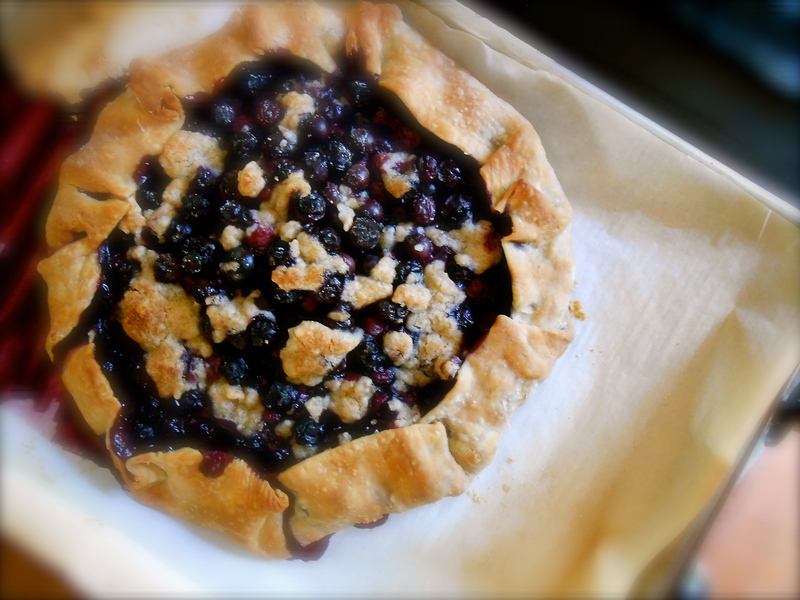 I love cooking with blueberries and your crostata is a thing of beauty. Can’t wait for for blueberry season to begin here! I love blueberries too. I could eat a whole “tub” in a single sitting. Crispy skin with tangy blueberry filling sounds a perfect croatata! Can i made this with canned blueberry??? Beautiful crostata! This makes me want to bake with (slash eat) fresh blueberries, asap. And I know what you mean about the bookmark bar getting out of control. Mine got so out of control (and I still have never gone back to organize it) a year or two ago that I started using Google Reader instead. Sadly, that is going offline at the end of this month, so I’m exploring some alternatives, like Feedly– though the tagging system is not as great as Google Reader’s was… but maybe you should try an RSS reader instead of bookmarks? Oh and– maybe even more useful than RSS readers– I also use Pepperplate to save recipes I find online! Hey! Thanks for the tips! I’ll look into Pepperplate sounds great! Your blueberry crostata was certainly a success and well worth the three tubs of blueberries. I am glad you enjoyed eating it too, because at the end of the day it’s not just how it looks but how it tastes too. You are tempting me to try this too even though as you rightfully said the bookmark bars are overflowing. Thank you so much for visiting my site several times. Have a wonderful weekend! We have wild blueberry bushes sounding our orchard. During July, I try to pick as many as I can before the birds and turkeys get to them. This crostata would be a perfect way to use them. Definitely Karen! Your home sounds like such a lovely place! Apples, blueberries, turkeys… oh, and the wine cellar too! The crostata will be the easiest dessert you have ever made. All of the blueberries I have picked up this spring/summer have been so sweet and delicious. I love the rustic nature of crostata and this one is gorgeous and looks delicious. I’ll have to see what I can do with a gluten-free crust. Sounds great. I imagine it would be fantastic. I agree, the blueberries are having a particularly good season. You’re such a sweetheart! I think it can easily become arduous or overwhelming to maintain a good blog, but it’s bloggers like you that inspire me and encourage me to keep going. What a delicious way to use blueberries… I’m a sucker for crumb toppings. I’m liking this new look for your page, by the way! That is one beautiful crostata! That golden crust is superb! LOVE blueberries! Thank you! It is a total “cheater’s crust though”. :) We still loved it. I know! Hindsight I wish I would have purchased several more and at the very least put them in the freezer! This looks amazing! I have 5 blueberry bushes in my yard and am eagerly waiting for them to ripen. I must try this! This looks mouth watering good… definitely bookmarked! alright, it keeps staring at me. I’m marking it, and will try to find a vegan pie crust recipe (I’m not a strict vegan, but my husband tries to eat vegan as much as possible at home). It looks so pretty! You and I seem to have the same tastes! I just started blogging and found you through Word Press. In just a few seconds here, I find ones I want to try, they look and sound so good! Nice blog! Thanks for sharing! Thank you, I agree, we do have similar tastes. You have a lovely blog! I like your idea of crumbs on top of the crostata! It looks even prettier. I am looking to make individual mixed fruit crostatas for our church fair this week. In my opinion they should sell for about $20 each! (just kidding!) :) thanks for the inspiration! You are currently reading simple blueberry crostata at COTTAGE GROVE HOUSE.